PUBG Mobile may soon get a worthy competitor in the form of Call of Duty: Mobile as Tencent and Activision have announced that the pre-registrations for public beta of the game is now open. The announcement was made at the ongoing Game Developers Conference in San Francisco and it was also revealed that the public beta will only available for the “West”, that is, the Americas and Europe. The game, which is being developed by Tencent’s Timi studio, is expected offer multiplayer modes such as Search and Destroy, Free-For-All, Team Deathmatch and Frontline as well as a zombie mode for bot-based single player. The game is likely to include characters from the Call of Duty universe, and even customise them using the in-game currency. The companies have also released a trailer of the game which you can see below. The trailer shows maps such as Nuketown, Crash, and Hijacked. 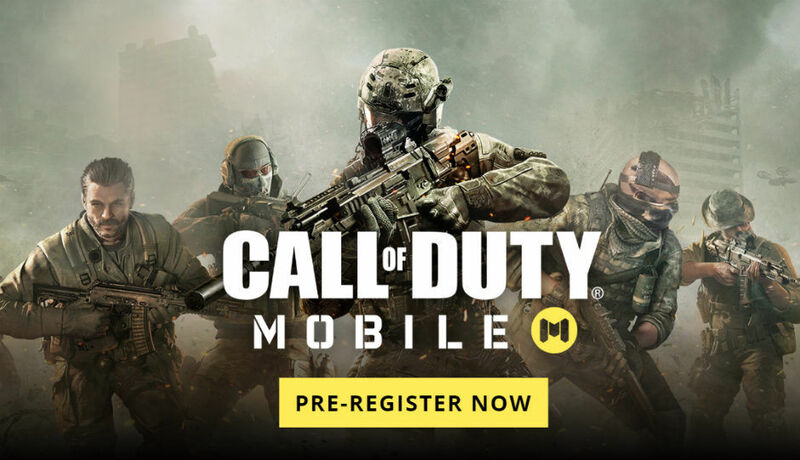 Even though the characters and weapons in the Call of Duty: Mobile are from the PC Call of Duty series, there seems to be no connection between the two in terms of storyline. It is expected that the game will run properly on flagships, and mid-range phone should also be able to play the games with lowered. Those who have lower-end devices may face heating issues as well as drop in performance during gaming. Those who are interested can register on Google Play Store to download the game. In the coming months, Activision should be releasing pre-launch Betas of the game before releasing the stable build. There is no word on exactly when the beta test will start on both iOS and Android, as well as no information has been provided on the launch of the stable release. Again, Indian users are cannot pre-register for the beta testing.